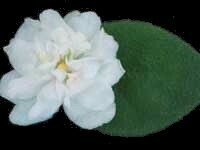 Trailing African violets grow with multiple crowns that trail over the sides of the pot. 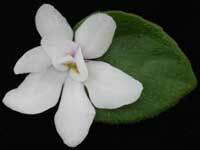 They come in standard, semiminiature, and miniature sizes. White semidouble blooms with lavender eyes. Semiminiature, medium green, pointed foliage. Profuse bloomer and grower. Single and semidouble pink pansies on this standard trailing variety. Beautiful Champion variegation. Makes a beautiful hanging basket! 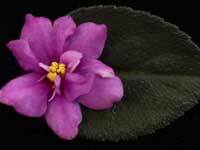 Semidouble fuchsia pansy. Medium green, plain, pointed. Semiminiature. 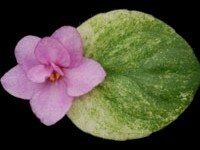 Semidouble white pansy with a pink eye. Crown variegated, medium green and cream, quilted foliage. Semiminiature. This semiminiature trailer is absolutely adorable! 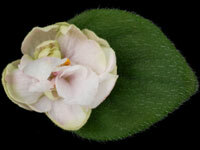 Mounds of white, white and pink and/or pink double pansy shaped flowers are produced freely and continually cover the very small, ovate, foliage. Fun and easy to grow, plus a great show prospect! Double, light pink star with variable green tinge, and green tips. Medium green, semi-trailing. Semiminiature. We're bringing back a semiminiature variety that was an old favorite. 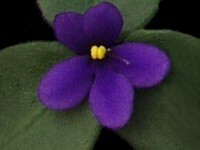 Single, small, purple/blue pansies with a darker eye. Blooms in large numbers, reaching high above medium green, trailing foliage. Double, light pink star. Variegated, plain foliage. Standard trailer. This semiminiature trailer will always delight you with a flawless display of white, semidouble and double stars, as pure as the snow. The medium green foliage grows compact with nice trailing habits. Charming, pristine white, double pansy shaped flowers have "blushing" blue "eyes", and each petal is delicately trimmed in blue. 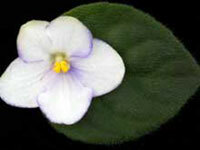 Compact growing, semiminiature trailing foliage is medium green in color. Lavender-pink, single and semi-double pansies, with a darker blush in the flower center. Blue fantasy specks, dance on the petals. Good trailing habits go along with the medium green, lightly quilted, standard foliage. 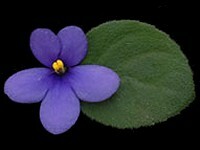 A dainty, dark blue, pansy flower, much resembling the "old fashioned" violet. A great bloomer, with good trailing habits. Double, bright pink flower. Plain foliage. miniature.